Extremely funny with self-deprecating performances, This is the End is comedy gold. Die-hard fans of Seth Rogan, Jonah Hill and any film Evan Goldberg has ever directed will love this film. Here Goldberg assembles a team of comedy misfits, all who play fictionalised versions of themselves. The comical gang attend James Franco’s house party, but get more than they bargained for when they have to face a global apocalypse. It’s hilarious with so many brilliant scenes! The chance to see Christopher Walken and Woodie Harrelson go psycho is a worthy reason enough to see Seven Psychopaths. This perfectly cast film about a screenwriter (Colin Farrell), who becomes tangled in a messy crime job gone-wrong, is a black comedy at its finest. 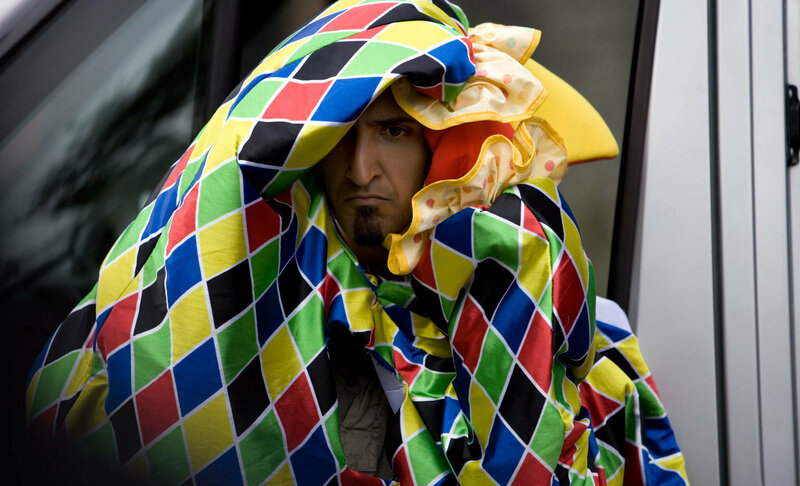 There aren’t many comedies quite like Four Lions. It follows a group of inept wannabe terrorists who bumble through training, determined to enact a secret plan. The premise suggests tasteless humour, but the film is actually a very clever satire that illustrates the pointlessness and farce of terrorism. It’s laugh-out-loud funny. Borat is one of the most outrageous and unadulterated comedies. It’s brilliant, controversial, hilarious and clever. It pokes fun at people’s narrow-mindedness and their inability to accept different cultures. Sasha Bohen Cohen in the guise of Borat takes on every social taboo in this very funny film. Few comedies have entertained me as much as Shaun of the Dead. It’s the film that sent Simon Pegg to stardom. Here he plays a slacker who lives with his with his best friend, and they get caught up in a zombie invasion. This film is a homage to classic zombie movies and it’s a bloody funny adventure. The Big Lebowski is amazingly original, well-written and very funny. It’s hard to describe this film as it’s not a comedy full of punchlines and gags. You essentially follow Jeffery “The Dude” Lebowski and his bowling buddies, as they pace through a weird adventure that involves kidnapping, millionaires, hippies and criminals. This film is open to anything. It’s a great film, arguably a career peak for the Coen brothers. All these films basically sum up my taste in comedy. It’s one of the hardest genres to get right in my opinion because what’s funny to one person could be a sleaze fest for someone else. So, whether you’ve seen these films or not, let me know your thoughts in the comment section. Great piece, definitely enjoyed all of these films too. However, I would say my favourite comedy of all time is The King of Comedy by Martin Scorsese – its both tragic and brilliant! Thanks. And I’ll have to check that one out. You have good taste in comedy, Liam.